We are America’s #1 Choice. America wants to buy Veteran products and services. Increase your Organization's SEO organically. Generate more exposure for your Business by simply being in our Listing. Create partnerships for RFPs/RFQs - Reach out to fellow VOB's to create long lasting relationships to serve all in winning a Contract. We are America's #1 Choice - Let your potential clients and customers find your services easier. Veteran and Government Registration is FREE, Get on the Grid today. Want to Advertise with OPPS4VETS®? Click here to learn more. Government - Variable Subscription period: Unlimited Veterans and small businesses are looking for government buyers and advocates. 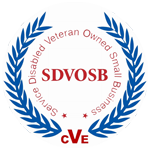 The government directory is an opportunity for all government levels can register for free to promote and search for Veteran and small business owners.